Bold dogs produce more birds, so encouraging a young dog to explore and learn will pay dividends in helping create a confident hunter. 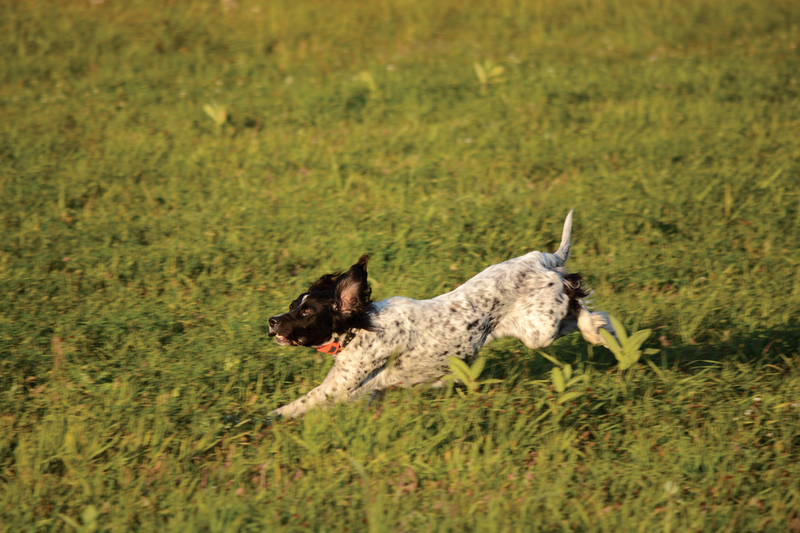 There’s a fine line between exerting too much control over your hunting dog and not enough. You might question that. After all, don’t most field problems begin with a dog that’s running amok and not listening to its handler? Could there really be such a thing as “too much” control? In the early stages of training, helping your dog understand the concept of “Go Away” is just as important as training it to obey the “Here” command. You must balance the control of obedience training with giving your dog the freedom to hunt. If your dog decides early on that the safest—and therefore best—place to be is next to you, you’re facing a long and difficult task in trying to convince it otherwise. So, yes, depending on your dog’s temperament, too much control can become a very real problem. A pup that doesn’t get opportunities to explore and learn on its own may develop into a dog that isn’t bold enough to use its own brain and nose to become the best hunter it can be. The benefits of developing a dog that is confident in being away from its owner are many. Examples include . . .
• If your hunting party has dropped multiple ducks in the decoys and you’ve lost track of some, being able to send your retriever to search for them with no specific direction from you is a big advantage. • In the uplands a pointing or flushing dog that attacks thick, intimidating cover is much preferred to a dog that wants to hunt the easy cover where it can keep an eye on its owner. 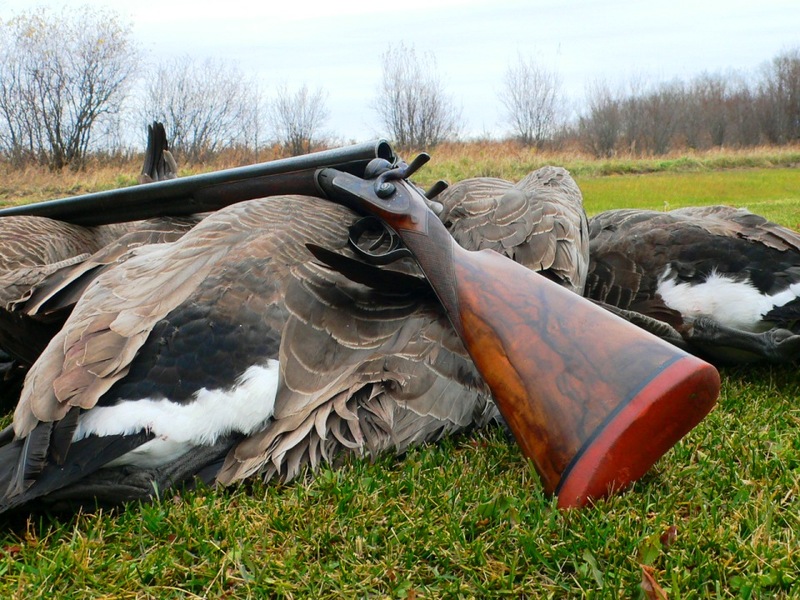 • A flushing dog that’s eager to work out front and force birds into the air is going to help you bag more birds than one that wants to walk at heel or, worse, behind the hunters. Needless to say, I’m not recommending that you let your dog loose near crowds or roads. Pick an area where your dog won’t run into danger. If you are worried about being able to get your pup back, run it with a 20- or 30-foot check cord. I said I’d rather have a dog I need to rein in than one that won’t get out and hunt. Well, there will come a day when your young explorer decides to head for the next zip code with no regard for your whereabouts. If you have an e-collar, you’re going to be tempted to lay on a heavy dose of attention-getting correction that you believe will magically will bring back the dog. Before you touch that button, however, think. If your dog hasn’t been properly collar conditioned and doesn’t understand what the correction is for, you might set back your training by months. So please proceed with caution. There are many great resources that can teach you how to use the e-collar as a training and not a punishment tool. I recommend Mike Lardy’s DVD “Total E-Collar Conditioning,” which includes 90 minutes of instruction and demonstrations as well as a comprehensive manual. The package is available at totalretriever.com. Pups vary in their willingness to explore. One might run half the length of a football field before looking back to see where you are, while another might hesitate to get more than 10 feet away from you. I’ll take the former every time. It’s a lot easier to rein in a dog that’s full of go than to get a “bootlicker” to leave your side. To convince a pup there’s plenty of fun stuff to do besides walk at heel on a leash, give it something to hunt. I reserve one particular bumper that’s full of bird scent for our field walks. Get your pup to really love its new favorite bumper by doing some fun retrieving sessions in the yard. Then, before you go on your next walk, hide the bumper in light cover and head into the wind so your pup can’t help but run across the scent and find its prize. As always, lay on the praise, and follow it up with a fun retrieve or two as a reward. As time goes by and your pup becomes bolder, gradually work up to running this exercise in thicker cover. Pointing dog owners: This is not a pointing exercise! Retriever owners: This is not a retrieving exercise! This is about getting your pup excited about searching. Don’t get in the habit of helping too much by walking to where you hid the bumper and calling the pup over to you. Make sure you allow ample time for your youngster to really learn how to use its nose and find the bumper on its own. Obedience is the cornerstone of building a solid, finished dog, but helping your pup gain the confidence to get out and hunt on its own will pay you back countless times throughout the course of your dog’s career.